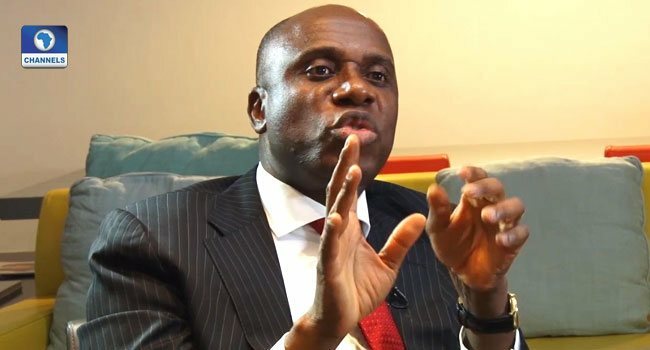 The Minister of Transportation, Chibuike Amaechi, on Saturday faulted a claim that he has appointed a governorship candidate for the All Progressives Congress (APC) in Rivers State. In a statement from his media office, the minister described the allegation as mischievous, stressing that it was deceitful for anyone to make such a claim. Amaechi said it was his constitutionally enshrined democratic right to support any qualified aspirant of his choice as a Nigerian, registered voter and a card-carrying APC member from the state. He, however, said he would not go against the laws of the land and the APC Constitution while supporting any member of the party in the 2019 general elections. Amaechi is part of the delegation that accompanied President Muhammadu Buhari to China on Friday for the 7th Summit of the Forum on China-Africa Cooperation (FOCAC). Ministers also on the President’s entourage are Geoffrey Onyeama (Foreign Affairs), Babatunde Fashola (Power, Works and Housing), Muhammad Bello (FCT), Okechukwu Enelamah (Industry, Trade and Investment) and Udo Udoma (Budget and National Planning), among others. On official national assignment in China, the attention of the Honourable Minister of Transportation, Rt. Hon. Chibuike Rotimi Amaechi has been drawn to several wild, misleading, misguided and deliberately distorted stories and claims linking the Minister who is the Leader of the APC in Rivers State and the South-South region, to a purported ‘appointment’ of a Governorship Candidate for the APC in Rivers State for the 2019 gubernatorial election. As an individual, a registered voter and a card-carrying APC member from Rivers State, it’s the Honourable Minister’s inalienable, constitutionally enshrined democratic right to back/support/promote any qualified fellow party member of his choice, to aspire to be the candidate of the party in the State in the forthcoming governorship election or any other election. However, as a true and thorough democrat, Rt. Hon. Chibuike Rotimi Amaechi, a foundation member of the APC and a leading light of the party, recognizes that the Party candidates for the 2019 general elections will be chosen/elected by party members through the prescribed democratic process in the party’s constitution, rules and regulations. It is, therefore, preposterous, mischievous; wholly and intentionally disingenuous and deceitful for anyone to claim, allege or even insinuate that the Honourable Minister has “appointed” a governorship candidate for APC in Rivers State.